Sometimes you have big plans and then things just get in the way. Holy moly it is cooooooold here! Not really anything compared to the "polar vortexes" they've been having in the states, but I've said it before and I'll say it again, after living in perpetual sunshine and warm weather for 4 years I'm missing California like no other these days. All I want to do is lay down in my warm bed with a blanket and cuppa hot cocoa. But there are so many places to go and things to see! We can't just waste the weekends away! 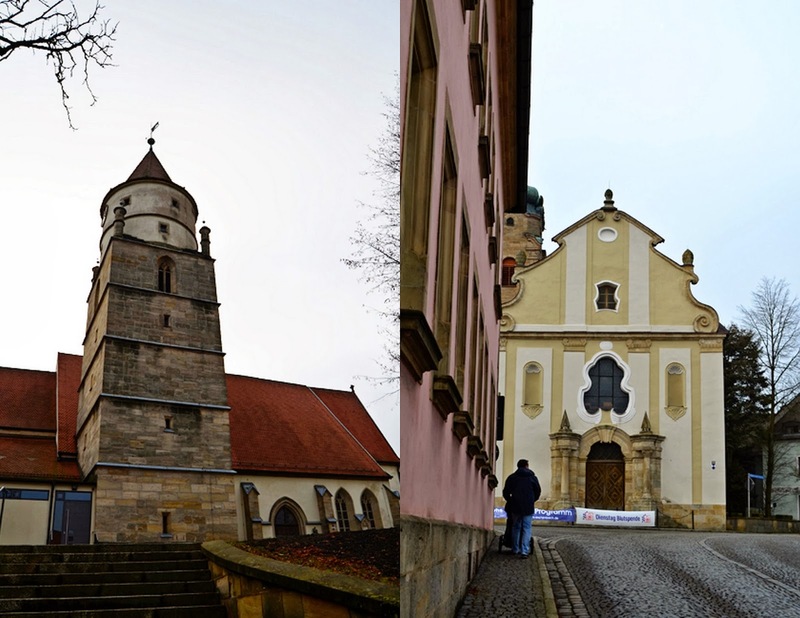 Then we decided instead to go see an amazing church just 10 minutes away in Speinshart. No dice, there was a wedding going on. So we decided to walk up and down our very own town of Eschenbach - something we've never done even though we've lived here for 7 months! Our first stop was the local Bäckerei. 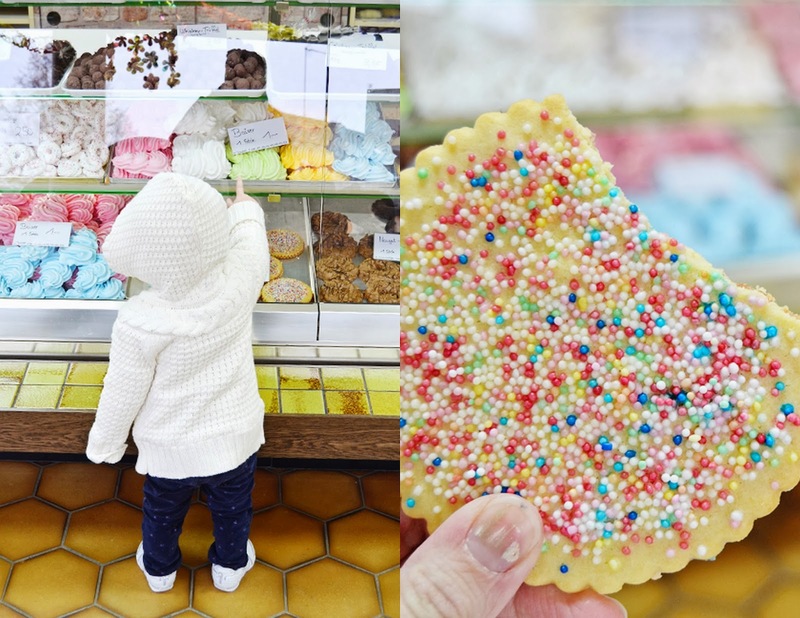 Jane wanted a meringue cookie and I opted for sugary sprinkles, naturally! Starting at the bottom of the hill, we worked our way up, up, and up! There's a church at the bottom, in the middle, and at the top of Eschenbach. Every city has a Rathaus - or town hall if you will. This one, like so many others we've seen, is smack dab in the center of town with streets on either side. I just LOVE all of the colored buildings. We passed by a lot of restaurants that look yummy and we'll have to go on some dates and try them out. 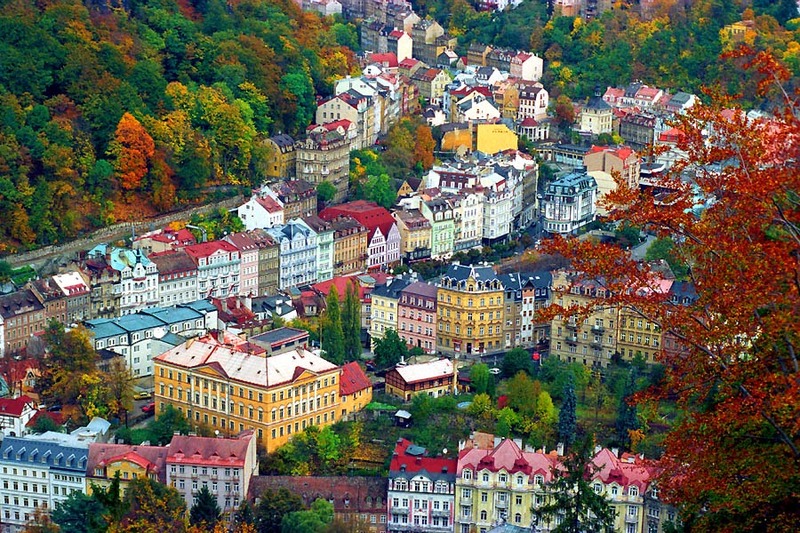 Here's hoping for better and warmer weather on Monday so we can go to Karlovy Vary - or in English "Carlsbad"! 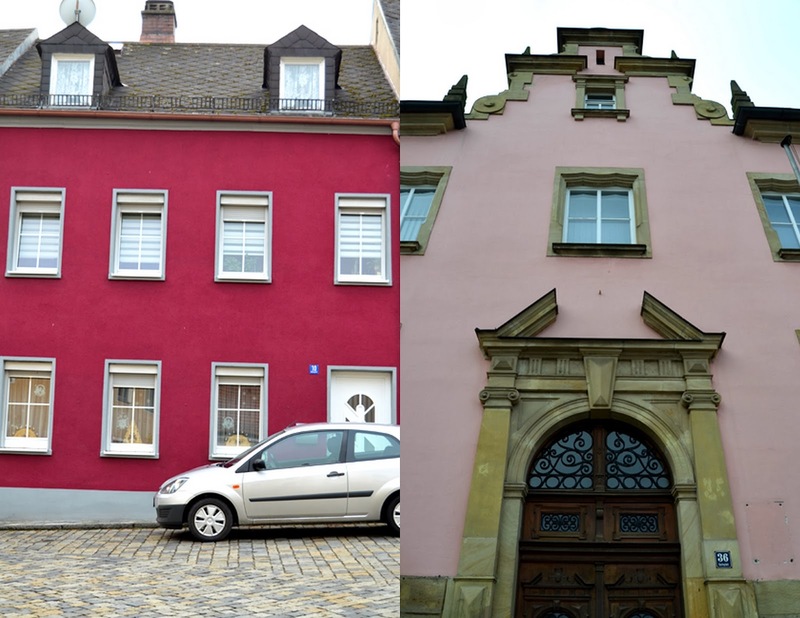 Your photos of Germany and all the other places you have visited are just gorgeous!!! It really has been so fun to live vicariously through your camera lens. :) Thank you so much for sharing, as I am not quite sure if I will ever make it overseas to see it all. Are you gonna hate me if I tell you it's in the 70's here??? But then I might hate you in June when it's 120 here ... lol!! So no hating! HA!!! I love love love love the photos!!!! When you live in Europe even exploring your own backyard is an adventure! So in love with all the pretty colors! All of the scenery is just so beautiful! Hope you get to make the trip to Karlovy Vary soon, Paige! That photo from the internet is gorgeous!! I love the pictures of this town. And I love CA too. I can't believe the pretty colors of those buildings!